Strikingly beautiful, older and high quality Nishijin obi in excellent condition without any mark of being worn. The colors are vivrant yet elegant. 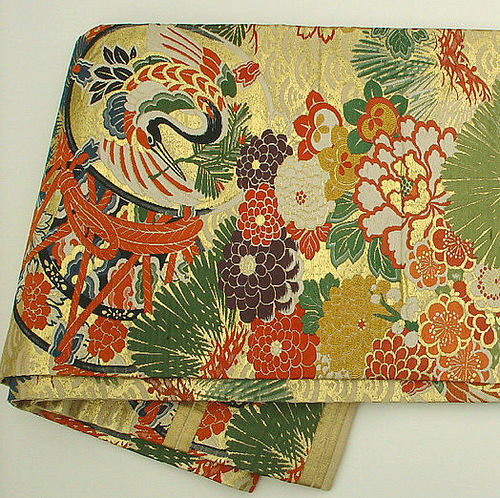 The design includes hand drums with cranes, flowers, pines and repeated pattern of gold waves (sei kai ha) woven with gold leaves throughout on front and back of obi. Taisho, possibly to early Showa period, 1920-1930.